Only 12 units were produced for the United States. Of the 12 only three were produced with the Exclusive Villa d'este Package found on this Aston. From a collaboration that stretches back over five decades, the creation of Vanquish Zagato once again paired Aston Martins acclaimed dynamic and material qualities with the prestigious Italian design-house Zagato, showcasing the very best of Aston Martins spectacular sporting ability and bespoke luxury. 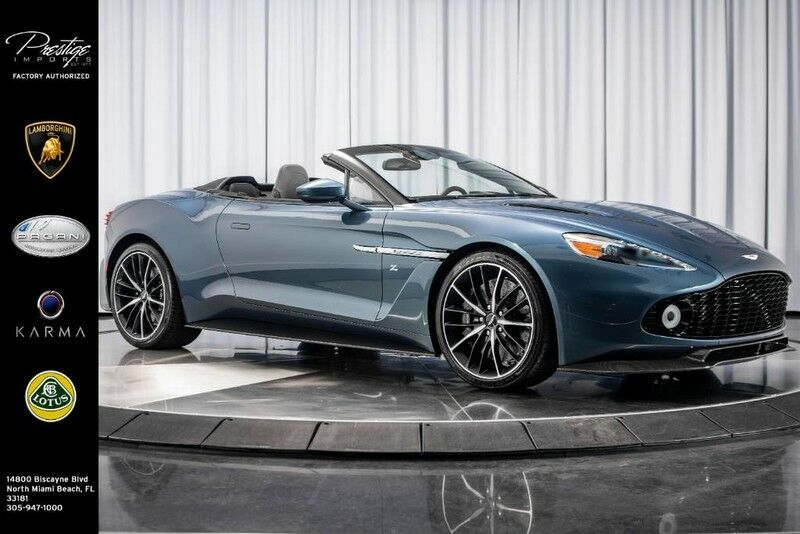 Notable standard features include: 580 Horsepower 6.0L V12 capable of 0-60mph in 3.5 seconds, Carbon Ceramic Brakes, Bang and Olufsen BeoSound Audio System, Bridge of Weir Leather interior, Front and Rear camera and much much more. A truly exclusive GT, Vanquish Zagato blends our inherent refinement and performance with Zagatos characteristic look, while successfully evoking the iconic DB4 GT Zagato. A timeless fusion of the classic and the unique. Zagatos design language is found in every detail. A fluid, elegant form, with every element considered, from the striking Z-shaped grille, right through to the sculptural rear end, exterior and interior Z touches.